Enjoy a satisfying meal at ISIS serving guests of Hotel Madrid Río. Wrap up your day with a drink at the bar/lounge. With a stay at Artrip, you'll be centrally located in Madrid, just a 3-minute walk from Teatro Circo Price and 9 minutes by foot from Museo Nacional Centro de Arte Reina Sofia. This hotel is 0.6 mi (0.9 km) from Paseo del Prado and 0.5 mi (0.8 km) from Puerta del Sol. Located in a privileged environment, Hostal Montaloya lets you enjoy the most touristic sites, with all the cultural and gastronomic activities that the center of Madrid offers. 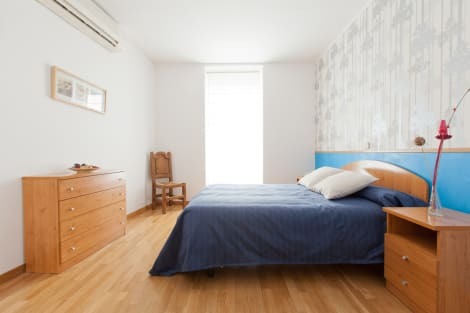 The Plaza Mayor, Puerta Del Sol, El Barrio de las Letras, and the Royal Palace are just a few minutes walk has 30 rooms, all have private bathrooms and daily cleaning. They are equipped with everything you need to enjoy your stay: air conditioning, heating, WIFI, LCD TV, hairdryer, amenities, wardrobe, desk, iron on request. With a stay at Far Home Atocha in Madrid (Literary Quarter), you'll be steps from Puerta del Sol and 6 minutes by foot from Puerta del Sol. This hostal is 0.4 mi (0.7 km) from Plaza Mayor and 0.5 mi (0.8 km) from Paseo del Prado. A stylish hotel in the centre of Madrid, Hotel Mayerling is steps from the Puerta del Sol in the fashionable Habsburg district of the city, within easy walking distance of the Prado Museum. The air-conditioned rooms are sleek, minimalist and come with free wi-fi access, LCD TVs and private bathrooms. Head to the chic bar for a late night drink, then start the next day with a fresh continental breakfast buffet before getting advice from the 24-hour reception on all the best places to visit. This property is very good value for money. Well located, well maintained, nice decoration and nice staff.